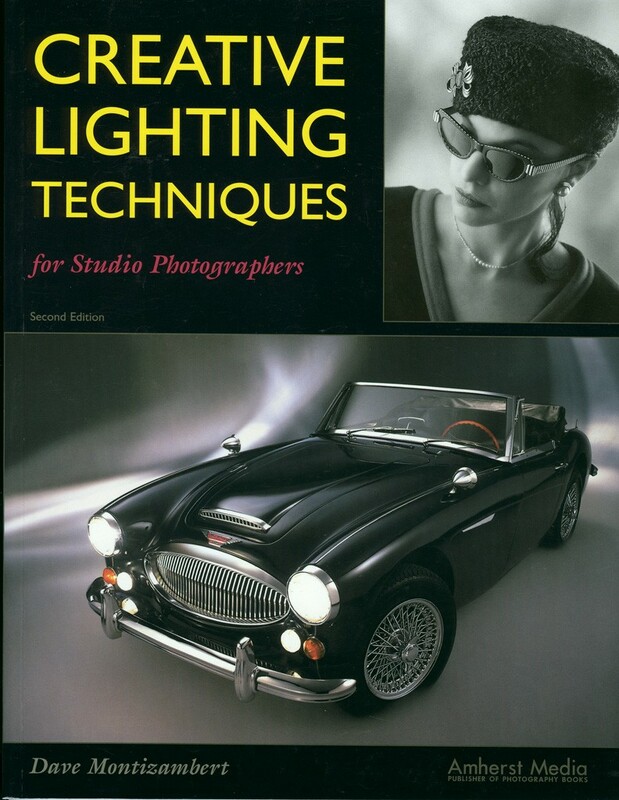 Creative Lighting Techniques | Montizambert Photography Inc.
Second Edition. Softcover, 8-1/2 x 11″, 124 pages, over 100 b&w and color photographs. Gain complete control over light and shadow formation, and use it to create outstanding photographs. The author draws on images from real assignments to give you concrete, practical examples that make it easy to duplicate or adapt every effect. Designed to strike a balance between lighting theory and methodology, this book teaches you universal principles and backs them up with practical applications. It is not about methods of lighting for a single type of photography, but instead it covers the knowledge that will allow you to light more creatively for your specialty. After touching upon the fundamentals of lighting theory, the majority of the book is devoted to two main topics: forming images with shadow, and lighting with specular energy. Each section is loaded with technical specifications and examples that illustrates how theory translates into practice. Stunning images and helpful diagrams show you how to apply these insights to photographs of any subject and guide you towards studio lighting mastery. Whether you are a professional studio photographer or just getting started in the business, this book will greatly increase your skills as well as expand your versatility. This “how to” detailed diagrammed book will enable you to light everything from portraits, advertising, fashion and automobiles.